In this never-ending story on heart disease, I have tended to use the terms “heart disease” and “cardiovascular disease” almost interchangeably. Well, everyone else does it, so why not me? However, in this blog I shall be splitting cardiovascular disease into its two main components, heart attacks and strokes, and concentrating mainly on strokes. The first thing to say is that there are three main causes of strokes. Atrial Fibrillation (AF) is a condition where the upper chambers of the heart (atria) do not contract and relax smoothly every second or so. Primarily because there is a disruption in the electrical conduction system, causing the atria to spasm and twitch in a highly irregular fashion. When this happens, blood clots can form in the left atrium then break off and head up into the brain and get stuck. Causing a stroke. They can also travel elsewhere in the body causing a blockage to an artery in the kidneys, the leg, the arm and suchlike. If they form in the right atrium, they will end up stuck in the lungs. These clots are usually quite small, about the size of a large grain of rice, but this is still big enough to do quite considerable damage. The treatment for AF is either to try and reverse the fibrillation or, if this does not work, to give anticoagulants such as warfarin to stop the clots forming. A haemorrhagic stroke is when a blood vessel in the brain bursts. Blood is then forced into the brain and causes a lot of damage – leading to a stroke. Haemorrhagic strokes are usually quite severe, as you can imagine. The treatment is to NOT give an anti-coagulant of any sort. Haemorrhagic strokes are often/usually caused by a thinning of the artery wall, causing a ballooned area (aneurysm), which then bursts. An interesting question, and I have seen different views on this is whether a small blood clot travels to the brain where it gets stuck, but does not completely block the artery, so it does not cause a stroke, but it creates an area of damage – which is then repaired – that leaves a weakness in the artery that balloons out – an aneurysm. Anyway, the most common cause of a stroke is that large atherosclerotic plaques form in the main arteries that supply blood to the brain (carotid arteries). These plaques usually form around the base of the neck. A blood clot then forms on top of the plaque, then breaks off and travels to the brain, where it gets stuck – as with atrial fibrillation – causing a stroke. The effect is the same as with AF, but the underlying causing is completely different. According to the American Stroke Association 87% of strokes are ischaemic. Which means that the vast majority of strokes are caused by atherosclerotic plaques in the neck. Just as the vast majority of heart attacks are caused by atherosclerotic plaques in the coronary arteries. Therefore, you would expect that the risk factors for stroke would be exactly the same as the risk factors for heart attacks, as the underlying process is the same. Well, many of the standard risk factors are the same. Smoking, diabetes, high blood pressure and suchlike. However, a raised LDL most certainly is not. There is a research study called the Simon Broome registry, started in the UK, that tracks the health outcomes of people diagnosed with familial hypercholesterolaemia (FH). Which is something covered in the magnificent and insightful paper: ‘Inborn coagulation factors are more important cardiovascular risk factors than high LDL-cholesterol in familial hypercholesterolemia.’2 Yes, as you may have guessed, I was a co-author. Any study on CVD will be examining LDL levels very closely. If a relationship were found it would be shouted from the rooftops. The fact that you hear nothing about LDL in this paper means that there was no correlation – at all. You can, if you wish, try to find some evidence that the risk of stroke is increased by a raised LDL level. I must warn you that you will look for a long time, because there is no evidence, anywhere – at all. It has interested me for many years that this issue is simply swept under the carpet. Raised LDL is not a risk factor for stroke…. Then, ask yourself the question. How can a raised LDL be a risk factor for heart disease and not stroke – as the two conditions are, essentially, the same condition? Atherosclerotic plaques in medium sized arteries with the critical/final event being the formation of a blood clot – on top of the plaque. Then, ask yourself another question. If a raised LDL is not a risk factor for stroke, how can lowering the LDL level provide any benefit? The correct answer is that… it cannot. Yet statins do provide benefit in stroke (Usual proviso here. Not by a great amount in absolute terms, but the benefit does appear to exist). Just to repeat the main point here. A raised LDL is not, and has never been, a risk factor for stroke. Yet it is claimed that lowering the LDL level reduces the risk of stroke? In reality, the evidence from the statin trials prove, beyond any doubt, that any benefit achieved by statins cannot be through lowering the LDL level. However, every single cardiovascular expert seems delighted to inform us, in all seriousness, that lowering factor A does, indeed, reduce the risk of disease B. Despite this breaking the very fabric of logic in two. “I daresay you haven’t had much practice,” said the Queen. “When I was younger, I always did it for half an hour a day. Why, sometimes I’ve believed as many as six impossible things before breakfast.” Alice in Wonderland. This entry was posted in Cardiovascular Disease on January 15, 2019 by Dr. Malcolm Kendrick. Thanks Dr. Malcolm. I notice blood pressure is noted as a risk factor. Like you said before, (i thonk) blood pressure is not a disease. Can we assume that BP may be symptomatic of plaque development causing a restriction in blood flow? The most frequent and most instantaneous triggers of raised BP have to do with oxygen transport. If erythrocytes (red blood cells – RBCs) do not convey enough oxygen to match the demand created by the needs of other cells then the cells in oxygen deficit will signal their distress through the release of chemical messengers. The message to ‘send more oxygen’ will be relayed to the heart which must beat harder and faster. Physical exertion may raise demand for oxygen or the thin air of altitude can diminish supply. Each will result in the release of chemical signals. Neither has zip to do with excess salt consumed, btw. Most cells of the body lie at the periphery of the vascular and micro-vascular systems. Many cells are served by vessels whose diameter is smaller than the typical erythrocyte, This suggest in part that forces other than mere pressure may be at work to ease their passage. RBCs may to shift shape from being disc-like to cigar-shaped. The news is not travelling fast enough that blood is both a solution and a colloid. Things like all blood cells and all variants on the theme of lipoproteins are suspended in blood in the manner of colloidal particulates. Suspension and dispersion requires adequate electromagnetic potential (zeta potential) to be resting about the periphery of the particulate. All our cells have potentials resting about the membranes including all blood cells, With blood cells these membrane potentials act the role of zeta potentials encouraging suspension. The twentieth century came with innovations that have compromised the maintenance of membrane potentials of all cells. For erythrocytes the decline of membrane potentials has brought about tendencies to ‘floccate’ or fall out of suspension. Lucky that blood is always on the move. Actually RBCs cannot fall out of suspension but the level of dispersal can be compromised. What RBCs with declining zeta potential reveal is a tendency to cluster in groups. This has an effect upon blood viscosity rendering blood that bit more resistant to flow and presumably this would result in supply of oxygen failing to equate to demand thus giving rise to distress calls asking for the heart to uprate the pumping pressure. There exists a double whammy, I sense. RBCs tendency to cluster may not be such an issue in the major vessels but as The pass on route to peripheral vessels there must come a stage where clustered RBCs may create a bottleneck as they advance towards those peripheral vessels. Cells there are likely to suffer oxygen deficit and ship or those very same distress calls that arise with exertion or altitude. Our ancestors did not know about zeta potential of RBCs. But back in the day the construction of homes and workplaces was far simple and shoes had soles made of tanned leather. Slightly further back in time footwear was made of hides, and just a bit further back people may have spent more time going barefoot. It is largely in the last 100 years that people have lost all vestiges of contact with ground. Restoring membrane potentials to cells (and zeta potential to our RBCs) is easy. We need to kick off our shoes with soles made from rubber and plastic and walk barefoot on good ground. Alternatively sleep in a bed equipped with an earthing sheet. In this way electrons flow from ground and into the body to redress the shortfall. Electrons are constantly being exported from the body thus creating an imperative that equal numbers should constantly be imported. The time persons cease to export electrons is the time they exhale their last breath. So long as a person is alive they cannot help but export electrons. Persons suffering from essential hypertension, I sure do think, would benefit from sleeping in a bed equipped with an earthing sheet, taking a swim everyday, or even walking a sandy beach barefoot each day. Each habit would help restore membrane potentials (and zeta potential of RBCs) and be an antidote to the degraded ability to get oxygen where it is needed most. Unfortunately I do not believe any large scale interventionist trail has been conducted or reported. However there would be nothing to stop a progressive thinking GP from advocating earthing to his patients identified as suffering from essential hypertension and monitoring the results. It could amount to a pilot study of sorts. Truly, the force of electromagnetism is the one fundamental force of nature can bring chemistry to life. And another thing. Does decline of zeta potential (of platelets) make thrombogenesis more likely? I’d be shocked to find out that it would not. Yes – a good take on “blood pressure” in my eyes. A couple of years ago I encountered this explanation about how our blood cells can possibly pass through our narrow capillary vessels. It was delivered by one of my favorites in nutrition science, Stephanie Seneff, a Senior Research Scientist, at MIT and who started out in this science from computer science – to me a remarkable trajectory i science. She is though very convincing to me in her alternativ views on physiology and medicine. I am just re-reading The Great Cholesterol Con and your style of writing,as in this post, makes it very enjoyable while informative. Thnks. I will just carry on taking the apixaban. And avoid worrying. Ah, more highly nutritious food for thought. and my blood pressure immediately went up. Then I read the comments and calmed down again, it seems the public are not as impressed as they are meant to be. I wonder whether there will ever be enough “evidence” to stop blaming LDL for everything and look at what is actually occurring. As ever, very clear and informative. Interesting. Can you clarify: “Yet statins do provide benefit in stroke (Usual proviso here. Not by a great amount in absolute terms, but the benefit does appear to exist).” What have you found to be the reason for this? Any sources? What kind of benefit? As inflammation is a damaging factor the anti-inflammatory actions of statins may be beneficial. Oxidatively generated DNA damage and inflammatory burden are lower in statin users compared with non-users. Together, anti-oxidative and anti-inflammatory effects may contribute to the beneficial effects of statins. However, to avoid the adverse effects of statins, there are dietary and lifestyle changes (eating minimally or unprocessed foods daily sun/uvb exposure) that improve natural anti-inflammatory reserves, such as maintaining the omega 3 index, vitamin d3 25(OH)D and magnesium levels typically measured in indigenous peoples living traditional lifestyles. Thank you Dr Kendrick. I have just read a fascinating book Health and Light, the effects of natural and artificial light on man and other living things, by John N Ott. He worked with Walt Disney on slow-motion photography. Anti-inflammatory and/or anticoagulatory effects probably. LJ I would also like Dr Kendrick to clarify, as the studies I found some time ago, when GP was insisting on statins, said that for AF, the slight decreased risk of ischemic stroke was outweighed by the greater increased risk of haemorrhagic stroke. This was accepted by the neurologist the GP huffily referred H to. amie, are you saying statins would increase the risk of haemorrhagic stroke for people with AF? Can you point me to those studies? Thank you! Seems to me as a 50 year old man with Permanent AF I shall stick to my Rivaroxaban and Low Carb Diet to keep those pesky Trigs low 1.1 (last A1C was 27) and keep my healthy fat intake up to keep those lovely HDL levels at 1.6 and carry on ignoring my LDL which at last look was about 6 (STATIN ALERT STATIN ALERT). BP normal 110/75, BMI 26, Zero Stress and plenty of gentle long walks every week. I have a GP who doesn’t believe in what I’m doing with regards to diet but will admit that my general health is good and in his words, “If it suits you – carry on with it”. He would just like me to take a statin to bring that LDL down though. Santa bought me your new book for Christmas BTW, A hard but interesting read as always. Long may you continue Sir. Edward Hutchinson: My husband has lone AF, probably caused by ultra marathons in his youth, (had TIA/mild stroke over 5 years ago) and has been on warfarin ever since. His heart is otherwise fine. I have urged him to ask his GP to switch him to one of the newer anticoagulants, as warfarin causes calcification. I cannot find any information whether any of the newer anticoags also cause calcification. Do you know whether Rifvaroxoban does? How long have you been on it, and are there any downsides you know of, compared to warfarin? 5 years ago at the stroke centre in London they were not happy to prescribe any of the alternatives as they said they were not proven yet, and there was no quick antidote for excessive bleeding, such as K for warfarin. As for statins, I would also like Dr Kendrick to expand on his statement that they have some (anti-inflammatory?) benefit, as after constant pressure from his GP for H to go onto statins, the GP referred him back to the neurologist who confirmed in no uncertain terms that there was no reason for him, with AF, to be on statins. I had presented several studies to his cardiologist on a previous insistence by GP that he go on statins, the studies saying that in the case of AF, there might be a slight decrease in the risk of ischemic stroke, but a much greater increase in risk for haemorrhagic stroke! The cardiologist had been convinced by the evidence I presented that statins were not indicated. He has just had his annual lipid results and the new GP wishes to refer him to the “Healthy Vessels” clinic at the surgery because of his results, where I know they will advise a low fat diet and statins. Yet again. His trigs and HDL are tip top. I’ve been there. Atrial fibrillation started for me several years ago. In preparation for an ablation to stop the paroxysmal AF, I was put on warfarin. Bad stuff, I agree. I could go through all the reasons if you want. Then I was put on dabigatran (Pradaxa). Bad stuff also. Then, after a successful ablation, rivaroxaban (Xarelto). Not bad, but not as good as apixaban (Eliquis), due to the research that seems (Nothing is definitive in this area!) to indicate that intracranial bleed risk is least likely with apixaban without sacrificing stroke prevention. Anticoagulation is important with rhythm problems. It’s recently been shown that only a very few minutes in AF increases stroke risk markedly. Some people are fortunate to be so arhythmia free after ablation that they’re safely taken off anti-coagulation. I have enough incidental PACs and PVCs along with my history –– and my age 😦 –– that I’m still on apixaban. Four years. No problems. I deal with sharp things every day. Preparing firewood, tree pruning, general woodworking. Fingers and such will not bleed noticeably differently on apixaban. “Tissue factor” clotting factor is the main one involved with ordinary injuries such as this. Apixaban works within the heart and circulatory system on others of the dozens of fail-safe clotting factors that keep us from leaking out in as many different ways. I wouldn’t worry too much about the (soon to be available) antidote. BTW, “lone” is simply an indication that the individual’s cause of AF hasn’t been found yet. You indicate ultra-marathons, a known causative factor. What was his BP at mile 40? Today? if injured, but not too bad. I wouldn’t be discouraged the the first ablation was not successful. It is, on average, only 70 odd percent completely successful the first go-round. I had three. Find the hospital and the electrophysiologist with the most experience – specifically, the most ablation procedures per month. The discipline is constantly evolving for the better. Some of us have intolerable symptoms with AF. Perhaps if H runs as he does now, he’ll be OK. I, myself, could not climb a set of stairs while in AF. As you know, none of this is inexpensive. But, actually, apixaban is cost effective vs warfarin. He MUST keep his INR within range. He must either periodically travel to a clinic for the finger prick or take the responsibility on and purchase his own testing equipment. Going off range in either direction can be deadly. I’ve a friend who had an ischemic stroke from “silent” AF, was put on warfarin, and ten years later had a bleeder stroke. The longer you’re on warfarin, the more erratic your INRs become. So, warfarin induces stress of all sorts in its management: $ and watchful worrying. Me, I take two tiny pills a day and forget about it. No stress. Stress is the last thing either of you needs. Here’s hoping you have decent insurance. I am interested in “alternatives”, not least vitamin C and subscribes to newsletters from the Orthomolecular home page. Recently I learnt a lot from a very thorough question and answer summary of a IV-vitamin C conference covering a very broad range of topics by very knowledgable MDs. Sometimes though a tough session for a “layperson” like myself. Among all the questions one related to AF where it was firmly stated that in early stages it was “all about” magnesium deficiency. Amie JDP N of 1 JDP INR is erratic. Can’t tell if age has made any difference the erratic nature. I have been self testing since 2012 since 3xCABG/AVR in 1999….so been taking warfarin since 1999…..up until 2012 went once every 2 weeks or once a month….Think once a month is a waste. INR varies too much for that to make any difference in overall reading. Now i test weekly and thats quite erratic…….Greens or no greens….you can’t tell. Now 70 y/o By the way INR of 2.5 to 3.5. If you want pressure from med people have your first TIA/stroke. It’s like they won’t let you leave hospital unless you agree to take statins and antihypertensives….I’m more afraid of the meds than i am the stroke….. This question for Dr. Kendrick……the doctor in the hospital said the could see “areas in my brain that high blood pressure had caused”……Is this possible? Sounds like that would be a stroke to me…….What gives? It seems that anticoagulation with warfarin might be good in circumstance where you need a temporary stop-gap measure. One of the “…bans”* would be a more reasonable long-term choice. Yes – Alice in Wonderland is great philosophy to me as Winnie the Puh and of course your own take on our bizarre medical world. We need this! This (authentic) quote from the the original ‘Winnie the Pooh’ book is always useful. I have been Foolish and Deluded,” said he, “and I am a Bear of No Brain at All. In your last post you finished off by saying “If not, I am going to tell you next time. I am going to tell you how to change the odds, but I am unable to tell you how to get them to zero.” This post, whilst extremely informative particularly as I am recovering from a stroke, did not follow on from your closing sentence. Currently reading ‘A Statin Nation’ so maybe it’s detailed in there. Ian: It most certainly is, indeed. Wise counsel it is, amounting mainly to lifestyle choices. I enjoy reading your never ending story. Would you be able to address the issue that has been observed at Royal North Shore Hospital, Sydney Australia of females presenting with a heart attack with no risk factors. Apparently that represents about a quarter of admissions and occurs more often in females than males. As you might guess, I am not a medical person, but my GP told me of this situation. This is the study your GP was talking about. The fact diabetes, dementia heart disease and cancer continue to claim so many victims may be because we are not looking at all the right risk factors? Standard Modifiable Cardiovascular Risk Factors (SMuRFs; hypercholesterolaemia, hypertension, diabetes and smoking) are not the root cause of heart disease. The root causes of Chronic low level inflammation and endothelial dysfunction need to be addressed. Thank you Ruth for suggesting the PEO Solution. I have located it on Amazon. I will definitely follow this up. Jan G.
The evidence that consuming oily fish regularly enhances red blood n-3 fatty acid index is good enough for me. I find the work of James DiNicolantonio far more reliable. Thanks for you feedback Ted. I am confused though, are your saying nothing can be believed from Prof Brain Peskin? Or he is careless in not admitting conflict of interest? He does declare on his web page the conflict of interest. The link you provided seems to be saying very much the same as Prof Brain Peskin. https://brianpeskin.com/about-professor-brian-peskin/ and also radiant link is Brians reply to his mistakes. I am currently reading you book A Statin Nation very interesting and love your sense of humor. Very helpful so far. Would appreciate your thoughts also on Prof Brian Peskin’s work and is there any value in it. Don’t wish to be mislead or mislead others as well. I think there are a 100’s of lines that the cardiovascular community should write up, including and not excluding that cholesterol does not cause heart disease…… I love your humour Dr K.
15 gram/day is a good level for me not to be taken all at one time but sipped during the day. I just had another kilo delivered. eek! I’ve just had 30kg delivered, along with 20,000 capsules to load. Do you just take it dissolved in water or do you flavour it somehow? Does malt whisky play a part in this, or like me, do you feel diluting it, (the whisky), undoes all the good work? Dr John H, thank you so much for the link. I have noted the book you referred to, but the other articles look very interesting too. I shall have to look at these (more reading, I need more hours in a day, I am already way behing with the things I need to read, even so I suspect I am way ahead of many GPs. One other thing, I think that in the case of Atrial Fibrillation, Nascent Iodine could resolve (adding Selenium would be good too). Nascent Iodine is a really great form of iodine that I really like. Enviromedica sells one that I like and use, though I’ve seen other brands as well, just haven’t tried them. Magnesium also seems important in AF. I have seen AF reversed with magnesium supplementation. The system drives me nut – here is a new try to post. I am a strong believer in “supplements” and take a lot of them but I see this more as a general insurance policy of precaution than aa a proper “remedy” for CVD. I think this is still cheaper than taking any of prescription drugs and much less dangerous. I for sure know when my body is telling me that I am “fine” feeling “swell” and usually I am in that state irrespective of my serious CVD. However, sometimes, it shows its “ugly face” and the angina hammer hits and this all seems to be about stress today. My clogged arteries are well documented since twenty years so I guess I am a susceptible individual. The nasty angina, as always, receded within half an hour when the stress was taken away. Thank you for another useful demolition of the pro-statin argument. I do have a query however about your assertion that AF causes stroke. As someone with a diagnosis of Paroxysmal AF, I have been researching PAF over the past 2 years or so since diagnosis. I should be most interested in your response to the ideas of Dr Sanjay Gupta, a cardiologist in York (UK). He points out that in younger people (under 50 I think) AF is not associated with increased risk of stroke, and that in older people he suggests that the association is due to ‘the company AF keeps’, i.e. the co-morbidities of raised BP, diabetes, other heart conditions etc. So age on its own may not increase the risk. This is the aspect that interests me, as so often so-called risk factors that show up in older people are not actually evidence of risk at all, e.g. higher BP in older people is associated with reduced mortality, not increased. I have PAF, but none of the other risk factors for stroke except my age, which I can do nothing about! But I still have to take anti-coagulants, which I’d rather not do. hilaryjm: My H had none of the other risk factors or co morbidities, good BP, heart in good condition, not diabetic, was only diagnosed by chance when he had ECG before routine hernia op. He had been feeling slightly breathless during running and put it down to age. He then had a TIA/mild stroke at age 63. I have a friend on Repatha his ldl is 12. Jerry, take a look at the Fourier trial, about Repatha. There were more deaths in the drug group than the placebo group. I think doctors should tell patients that if they take it they will increase their risk of death. Thank you, Dr. Kendrick. Essentially the same disease, with essentially the same causal factors, just affecting a different organ. An inborn clotting disorder, or a lifestyle which promotes endothelial damage and repeated repairs which require clotting on top of clotting before they can be removed. I found the guinea pig research fascinating in “A Statin Nation.” Would that vitamin C play a role in reduction of plaques in humans. Wouldn’t be surprised if it does, at least in some, but we’ll never know for certain. Humans share the same gene malfunction in our inability to synthesise Vitamin C internally as do all the apes, and most primates. Guinea pigs are also unable to produce it, but the failure mechanism is different. i don’t know if the effects are the same though. It is not necessarily a gene “malfunction”. During evolution something has been inhibited, possibly because a chance mutation meant that animals which do not synthesize vitamin C have more energy for other uses. Making vitamin C is not a free lunch, it costs energy to do it, and if it is possible to get vitamin C from diet it looks to have beed beneficial. All LDL is not created equal. If this is not addressed then LDL study is flawed. Andy S The suggestion that it’s one year AFTER stroke is a different scenario is it not ? Hi Jerome, my understanding is that if high oxLDL is bad after a stroke it must also be bad before. No more studies needed. The idea of triglycerides / HDL is a notion I have not come across before. My doc relies on A1C to tell him all he needs (wants?) to know. Clearly, there’s more to it. Do you have a go-to site or two where I can find more Info. Perhaps you could detail your perspective on the CHA₂DS₂-VASc score – tying the previous post on prediction with this one on stroke via atrial fibrillation. Taking an anti-coag or not hinges on this predictive score . . . and your cardiologist’s interpretation of it. He is INR has always fluctuated a bit, so alarmed to hear it gets worse with time. Yikes! A hospital blood draw? Two months? You’d have to be really stable – which depends to a great degree on the stability of the greens (vitamin K) in your diet – in order to feel secure about INR changes. The likes of apixaban really must be cost effective in that situation. Can you find out from the NHS without rocking the boat? Here, with my insurance, all I need do is consult the booklet formulary they provide to determine availability and co-pay cost for pretty much any drug. For me, apixaban (Eliquis) is $25 per month. Two little pills a day; no worry. By odd coincidence, a letter just surfaced today in my piles of stuff, from the cardiologist in 2015 to the GP. He says H’s CHADS-VASC 2 score has only recently reached one and “that this is certainly not an automatic indication for anticoagulation”. But as H had now had the TIA he agrees that he should now be on long term coag. He was against the novel anti coags as warfarin was tried and tested and because of the reversibility issues with the novel anti coags. As you say, JD, there seems to a new antidote in the pipeline that is with the FDA and will be considered by the EU shortly. This detailed interview with various clinicians in the field should address any continuing concerns you might have. Hi All, the mysteries of WordPress have had me locked out at odd times for the past few days.And now I find that I have a slightly different ‘handle’ ! Bugger ! However the main point of my comment is to say once again ” Thanks Malcolm for this excellent post. Again good basic presentation of the facts with excellent logic and great clarity in language. We know that both VLDL and LDLParticles have a B100 protein on the outside (used to identify the particles). The ApoB/ApoA ratio (i understand) is usually measured after a “12 hour or so fast” basis. Which suggests that VLDL-P will be lower (less glucose; transformed to triglycerides for transport and storage) and more LDL-P (which originate from VLDL that have lost some of their cargo). Therefore, I understand Fasting ApoB as a proxy for LDL-P count which when elevated may still indicate insulin resistance. Does it??? Comments on the above analysis and logic would be appreciated. At my recent annual visit my internist opined about my lipid panel. Even though I have a (calculated) LDL of 200 mg/dL, he expressed little concern. The reason? In his 25 years of practice he has never seen a patient with very high HDL (>110 mg/dL) get a CVD event. My HDL is well north of that. He has previously told me that over the years he’s seen many patients with supposedly pristine lipid panels suffer terrible CVD events. And seen many others with supposedly horrible lipid panels avoid them completely. He’s an uncommonly thoughtful and open minded doctor. I asked him if these observations made him question the prevailing views about CVD and lipids. He said they had to. But absent an alternative framework to think about risk I think he feels compelled to use the panels as guidance, albeit in a much more nuanced way than most docs. I told him about all the people using the Feldman Protocol for three days prior to a blood draw to drive down their high LDL because their doctors were leaning on them so hard. He shook his head in disgust, saying that with all the uncertainties in this field no doctor should treat patients that way. With triglycerides in the 30’s and a fasting insulin of 2 I can’t get too worried about my LDL even if I were inclined to do so to begin with. Your HDL is well north of 110? That’s amazing. For long time it was 160-170. Most recent lab 125. None of my docs has seen this before nor knows what it might mean. I appear to have an extreme version of Dave Feldman’s “triad” of high HDL and LDL and low TG. Which fits with my fasting insulin of 2 and presumably very high insulin sensitivity. Needless to say I hope Dave turns out to be right about the prognostic value of this triad :-). I’ve considered advanced lipid testing and/or coronary calcium scan. But what would I do with the information? I’m very happy with my longtime choices (low carb paleo style diet, daily intermittent fasting, high intensity strength training). Not clear to me how any of those test results would lead me to change any of that. Sounds like a thoughtful and knowledgeable doctor. There should be more of them. My HDL only more than doubled,from 25 to routinely over 50. On various blogs and (diabetes) forums I’ve seen numerous people with higher HDL than LDL and several with HDL over 100. As far as I know they didn’t die. The problem is that it is such an unlikely scenario in a world full of low fat dieters that it has probably never been studied. My trigs/HDL went from over 15 to under 2 (US numbers) which correlates pretty closely to my insulin sensitivity. I would like to get insulin measured, especially a Kraft test, but that is never going to happen. Your insulin sensitivity must be stellar. chris c: Is the TG/HDL ratio a surrogate for insulin sensitivity? In the test results I have (since 2010) mine has varied from 0.5 to 0.7, with HDL in the 80’s (1.9-2.2), and TG in the 40’s (0.49-0.6). Perhaps this is why I’m not dead yet? I’m certainly not having any more tests. Waking up alive and refreshed every day is good enough for me. TG/HDL-c ratio reflects insulin sensitivity. Co-existence of insulin resistance and high concentrations of circulating oxidized LDL lipids. Many thanks for the link to the Danial Cobb book “Reversing heart disease” – a stunning read. I’ve just had a quick read so far and was particularly interested in his comments on vitamin K2. For some time I’ve been undecided about K2 supplementation – with a calcium score of 1500 I’m tempted to megadose on K2 to get rid of it. On the other hand, I’m aware that the calcium is concretising my plaques. What to do? Is there even an answer to this dilemma? to channel calcium back to the bones. He mentions the “dreaded” calcium score and that “calcium is part of the plaque deposit…a protective and adaptive response to damaged artery wall”. I’m becoming more and more inclined to ease off on high K2 supplementation and perhaps supplement just for possible dietary deficiencies and maintenance purposes, as opposed to sorting out chronic damage. I emailed Daniel with your question, hopefully he will post an answer here. So assuming this is true, then many more people need to be on anticoagulant therapy than they need to be on statins. There’s still a market for drugs, it’s just different ones. Why would the pharmaco’s freak out as much as they do? It’s not like anyone’s saying nobody needs medical care or nobody needs any drugs. It’s also a consideration that warfarin destroys Vtiamin K (or so I thought) so it might not be ideal to have lots of people taking it. Having been on anticoagulant therapy temporarily, I think lovenox is probably my favorite. (American names for the drugs, sorry if they’re different in UK). It has a secondary effect of reducing gut inflamation which is useful for nearly everyone who’s getting on in years. But it’s injected only for some reason. I feel like there aren’t a lot of good options unlike for statins, of which there are zillions. Great info in this post but did not follow on from closing remarks in your previous post … PLEASE continue with that info! My H takes magnesium and potassium based on your recommendations but sadly this has not reversed his AF. JD Patten: H had his ablation done at a top centre of excellence for this in the UK, the Heart Hospital in London. Initially they said he could have a repeat if this didn’t work, but afterwards they didn’t renew the offer. In any case I don’t think he was keen to go through with it again. As you say, it hasn’t impeded his running or mobility generally. He will be seeing the doc on Friday to ask about switching from warfarin. Well, no. I can certainly understand not wanting to go through that again. It’s not something to be taken lightly. I had a cryo-ablation first go. The trick is to electrically isolate the incoming pulmonary veins from the left atrium proper. With cryo, a balloon is inflated in each vein’s entryway and inflated to momentarily stop flow. Liquid nitrogen, or some such, is then instilled in the balloon causing an instantaneous neat ring of freeze and eventual electrically insulating scar where it touches the vein entry. Quite different from the connect-the-dots effect of the series of small RF burns created with the usual catheter. I’ve not had AF since! That hasn’t precluded other stuff like atrial “flutter” from showing up, though. Nothing’s simple or without trade-offs it seems. Apologies for being late to the party, but only recently I found time to catch up with the latest 10 or so parts of your series. I have a couple of questions/observations. 1. From part 52: “Infusion of recombinant tissue plasminogen activator (rt-PA) into healthy men with no evidence of thrombotic events of predisposing conditions elicited significant production of crosslinked fibrin fragment D-dimer.” Sorry if what I’m going to say will sound too simplistic, as I’m not a doctor, but wouldn’t it be useful to prescribe this periodically as a “cleanup” agent, getting rid of plaque while they’re still small? 2. About blood pressure, I like the idea that biomechanical stress is a source of damage to the arterial walls. Electrical engineers like me tend to spot feedback systems (negative good, positive bad) — positive is bad because you have an issue that starts out small, but due to the positive feedback adding up to it, rather than canceling as is the case in negative feedback, and you end up with a big issue. It occurred to me we may have a case of positive (bad) feedback here: we start with a healthy arterial wall, but a random event (say a stressful situation which increases blood pressure for some other reason) causes a nick in the arterial wall. It gets clotted, which ends up thinning the artery at that point. As you correctly pointed out, the body responds by increasing overall blood pressure, to make sure blood reaches the organs. Now for the interesting part: because pressure is lost precisely at the points where the artery is thinner, these are the parts subject to the highest structural stress. Thus, they are the most promising candidates for further endothelial damage. So: initial damage thins out the artery, which increases blood pressure, which increases structural stress precisely around that point, which increases the probability of further damage, further thinning out the artery, further increasing blood pressure, and so on. I hope that made sense. Not sure what to make of it, but maybe it’s a useful model. If this has any kind of practical consequence, it might be to suggest that treatment should focus on enlarging the parts of the artery that are the thinnest, so as to “spread the load” of pressure loss/structural stress everywhere, since it’s too risky to have it localized to just a few points or even a single one. The body is full of negative feedback loops, keeping the homeostasis in control all the time. As electronic design engineers know though, is that the NFB loop has to be kept stable. So if you do anything to the loop response, such as speeding up or slowing down a response time to some external event, then the loop could go unstable with wildly oscillating values of the various variables that the loop is controlling. Drugs do have the effect of varying the way in which the homeostatic NFB loops respond. The body is so complex that we mess with it at our peril. His solution: A diet of meat, fat, and water. (Black coffee and clear tea also allowed.) If the patient complains of monotony, add a few fruits and vegetables. How things have changed! The original address is behind a paywall, but two of the pages have been tweeted. “The average American consumes more than 3,600 calories daily – a 24% increase from 1961, when the average was just 2,880 calories. No wonder 40% of Americans are obese! Some maintain it’s the addictive nature of sugar and carbs which causes the increase. I believe that saturation advertising (particularly to children), easy availability of ready-to-eat food, and cheap prices, are also significant drivers of over-consumption. Secondly I took my grandson to the local McDonalds, he had been pestering to go. I had a standard burger in a bun, and shared a packet of chips with my wife. He had I think a double burger with chips and then since he was hungry a second one. The meat was tasteless and the bun really grim, but here is the point. The standard burger costs one euro! No wonder the place was heaving. People don’t realise how useless that sort of food is, and totally non satiating. You may want to watch this video, which explains another theory of rising obesity, which is that PUFAs (polyunsaturated fatty acids, high in vegetable oils) cause fat cells to be insulin sensitive, meaning they take in more insulin and blood sugar than they normally would. You’re hungrier and eat more. What causes fat cells to be insulin resistant (meaning the cells take in less insulin and less blood sugar; you’re less hungry and eat less)? Saturated fat. So, not only did we mistakenly tell people to eat more PUFAs from vegetable oils to reduce CVD (which it does not), but also that had the inadvertent effect of causing us to get fatter. One big thing I have noticed is the frequency of eating. When I ate a high carb diet I would need to eat more carbs every couple of hours. Now I eat a low carb diet I routinely go 6 – 8 hours and even up to 14 hours without eating because I am not hungry – I metabolise all my food rather than store it and don’t need to eat more until it is gone. I’ve noticed the fit healthy elderly folks are the ones who don’t eat in the street or go in cafes while the younger ones who are often fat simply can’t stop eating. Obviously something is disrupting satiety, probably more than one thing acting together. They may not realise it but I suspect some “obesity researchers” are actually trying to discover how to make more addictive food on behalf of their sponsors. Hence the attacks on the carbohydrate-insulin hypothesis: low fat “foods” are hugely profitable and fat people need to eat more of them by definition. After all the low fat diet has worked wonders on heart disease hasn’t it? . . .oh wait . . .
Goran – many thanks for the Q&A link – well spotted. I’m always on the look out on youtube for these sorts of things, in particular the likes of Dr Levy…who appears here. And as you note, interesting that the audience is comprised of healthcare professionals, not lay people. Jerome Savage: Dreadful piece. Little more than statinator talking points. Journalism is basically comatose, probably from taking too many statins, or worse, Repatha. Agreed. Tho I think it’s fairly typical & what we might expect. Mainstream journalist will always favour the status quo, much safer and why change comes dripping slow. I might have added, this is a political journal that offers comfort taste bites to any wandering readers who don’t want their comfort zones tested or challenged. 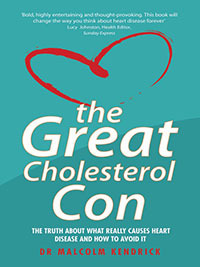 I’ve just finished The Great Cholesterol Con. Wonderful read and I feel empowered, so thank you for that, Dr. Kendrick. However, I now have a nagging anxiety. I used cocaine regularly in my 30s for about a decade. I never had a heart attack, but I did experience angina occasionally and it was actually the reason I stopped. After stopping, I never experienced angina again. I’m now 55, slightly overweight, but overall I feel healthy and am on no medications. Physical exertion causes no angina. My blood pressure is regularly around 120/75, and my resting heart rate is around 60. I have been married to my high school sweetheart for 34 years, have a large family, including grandchildren. Am I safe to assume my stupidity with cocaine usage has not caused any permanent damage? Just realized this is a loaded question, not answerable. “Yes, you’re fine.” I die of a heart attack, wife sues. So maybe instead I will research former users and rates of heart disease. I will, of course, listen to any advice you may have pointing me in the right direction. Thanks again. From the vast amount of research and comments I have read it appears to me that our bodies are truly amazing self-repairing machines. Endeavouring to repair all the bad stuff we do to our bodies (self-inflicted chronic non-communicable disease stuff). Our bodies really want us to live a long life and are designed to try and achieve this if we give them a chance. It appears also that a generally LCHF type diet (adapted by each of us as appropriate), stress management including sleep, and intermittent fasting (as appropriate for each body) for apoptosis and autophagy, will give our bodies the best chance at self-repairing. It is truly amazing, given the right conditions, what our bodies will do for us. However, unfortunately, some damage, it seems, (e.g. parkinson, macro degeneration) can only be stopped while others only slowed down. A lot is self-repaired I think more than we believe possible if only we’d give our bodies a chance. I think so, but I cannot say for sure as there is no evidence that I am aware of looking at this particular issue. I couldn’t find much either, but thanks for the reply. I feel good, what’s done is done, so I think I’ll quit stressing over it. Can’t go wrong there, eh? Looking forward to Doctoring Data. The world needs more fighters like you. Keep up the good work! I ran across a video for a company that is testing endothelial cell growth in microgravity after noticing that astronauts have higher rates of cardiovascular disease but lower rates of cancer. For some reason endothelial cells do not grow in microgravity. It sounds like more grist for your mill, Dr Kendrick. Don: I certainly hope so, and making that assumption has to be good for your health. The body has an amazing capacity to heal itself. The warm embrace of a loving family is probably the most important protective factor for CVD and early mortality. As an aside, after reading Dr. Kendrick’s book and thinking about this, I began to notice how many popular phrases related to stress and anxiety relate a physically damaging theme. “Beating myself up over it”, “Gnawing at me”, “Breaking my heart”, “Eating at me”, etc. I guess they are telling us something! Goran and others, How do you know your vitamin c comes from a very reliable source and also what form does it come in? I have read vitamin c is not equal to ascorbic acid with ascorbic acid merely being a component. Could you comment on this. Well, my favorite on this issue is Dr Suzanne Humphries and she is as me an advocate of synthetic vitamin C – the cheapest source. Here is what she tells. Elsha: As far as I know ascorbic acid is vitamin C. Very similar to the glucose molecule, as vitamin D is very similar to the cholesterol molecule. I’ve also learned from Dr. Kendrick that the glycerol molecule which binds three fatty acids to make a triglyceride is one half a glucose molecule. The body is not stupid. If it finds a useful chemical it finds lots of ways to use it. You may have read about other compounds in vitamin C-containing foods which are healthful. I figure it best to get all possible nutrients from food, but in the case of vitamin C it is not possible to get a therapeutic dose from food alone. Vitamin D is another one which is not available year-round outside the tropics or high altitude. Watch this fantastic Suzanne Humphries Vit C video. Watch the 1st one. For the second video fast forward through their set up to 7:20 if you’d like some additional practical recommendations. Almost all vitamin C is made from GMO corn which is produced in China. China has a poor reputation for quality control. If a label says “non GMO” and “corn free” it is probably made from GMO corn unless the label states a specific source (such as tapioca). Manufacturers know that consumers often want to avoid GMO’s, and since they are not required to list the source material on their label, they don’t. Once the GMO corn is processed into ascorbic acid, they can legally say their product is GMO free and non corn (because it is now called “ascorbic acid”). They say that there is no detectable GMO or corn antigen residue in the final product. Suzanne Humphries likes the Nutribiotic Sodium Ascorbate, which is inexpensive, though made in China from GMO corn. Nutribiotic says that they only contract with 2 companies in China who they trust. This is a step up from most manufacturers who buy on the open market from a large number of Chinese companies. Nutribiotic C is sodium ascorbate (buffered with baking soda) while the others are not. The following 2 are ascorbic acid that need to be buffered. Use health food store quality baking soda at a ratio of 2 parts C to 1 part baking soda. We like the Ecological Formulas ascorbic acid derived from tapioca (non corn, though made in China from approved manufacturers). Daniel Cobb likes the Quali-C best, it is less expensive than Ecological Formulas and is manufactured in Scotland from conventional corn. This has better quality control (China Free) and is non GMO. For liposomal Vit C, Suzzane Humphries likes the LivOn Labs Liposomal C, but it is made in China from GMO corn, has GMO soy lecithin and a chemical preservative. Liposomal C can be more easily digested by many. It has a higher cellular absorption rate in this form. Therefore, it is attributed to be 6 times as potent as a dose of regular vitamin. We like LipoNaturals Liposomal C liquid which uses Quali-C, sunflower lecithin and fermented prune. Thanks JD. Not even heard of cryo ablation. H had the burn the dots ablation. Almost all paroxysmal (once in a while for a few hours) AF patients that have a distinct pulmonary vein isolation are good-to-go. The lack of success is usually due to one of two things: The dotted line is incomplete to start with. Or, over a bit of time, healing occurs in such a way that conduction is restored in a small area – again, probably due to the dot discontinuity. That’s an advantage of cryo – an easily established full contact as shown by dye placed upstream showing stoppage of blood flow in that single pulmonary vein indicating full contact of the freezer balloon. Interestingly, one of the most successful EPs practicing today, Andrea Natale who practices in Texas, has developed a technique “dragging” his RF catheter to draw a continuous line. It’s quite idiosyncratic, but it seems to work. A truly continuous insulating scar seems to be the ticket. Thanks, very interesting, but academic for H, for the time being anyhow. Well this is perhaps Dr Suzanne Humphries greatest talk on the vitamin C issue. When choosing a supplement, I tend to choose those (1) taken/recommended by a healthcare professional and/or (2) the recommendations of commenters here. For example, with reference to vitamin C, you may wish to check out Dr Suzanne Humphries and her recommendations and comments on Dr Thomas E Levy’s vitamin C protocol. It includes her 2014 Stockholm presentation and also an informal video on vitamin C tips and types. “Just as the vast majority of heart attacks are caused by atherosclerotic plaques in the coronary arteries.” Is this really something you consider true after all you have brought to us? About the Lancet 2010 list, I am surprised that Cardiac causes are pretty far down the list. Also, I don’t see CAC score on that list at all. One would think if the coronary arteries are screwed, so would be the carotoid? Today my lovely lady bought a book “My Heart, My Life” published by the Heart Foundation here in Australia in 2016. I actually tried to discourage here buying it as I ook a quick lok and knew it was all ‘Old Medical: stuff and thus harmful not helpful. But my lady is a nurse and she got it anyway. When we got home I went through it with a marker pen crossing out/ scrubbing out all the ‘crap’ information to illustrate to her how useless it was. So all the stuff about taking statins was deleted; all the stuff about doing what the doctor tells was deleted; the stuff about not eating saturated fats was deleted along with the recommendations about using canola oil etc… At he end of it all, I was glad that she had only wasted $2.00 as it was second hand from an Op Shop ! But I wonder what happened to the person who bought it new. Maybe he or she threw it out as misinformation and survived. Maybe they did as directed by the doctor in this book and have died. It seems that Dr Suzanne Humphries is highly rated by many of us here, but that’s no real surprise. Plenty of viewing and reading for Elsha. Dr. John H – a few questions – I enjoyed your input on vitamin C supplementation. I’ve commented on the expense of LivonLabs and I’ll check out the Liponaturals alternative. Is it a gel in the packet and what does it taste like? The LivonLabs gel in the sachet has an orange taste. Any thoughts on ascorbyl palmitate as part of a multi C protocol? For a variety of reasons I’ve incorporated ascorbyl palmitate and take capsules from a randomly chosen name brand but I’ve no real idea of the quality etc. The LipoNaturals looks like and has the consistency of Baileys Irish Cream. It has a sour taste, definitely not “tasty” but not bad. You keep it in the fridge. I put 1/2 oz. in a shot glass and knock it back then drink a bit of water. I don’t know about the ascorbyl palmitate. Daniel Cobb told me that Linus Pauling recommended not to buffer the C, and take it straight for better absorption. This of course creates problems such as the acid etching the teeth (though you can use a straw) and digestive issues for many (myself included). Daniel says the type of acid that that is straight C does not create an acid imbalance in the body (while drinking a lot of acidic drinks like soda causes an overly acidic imbalance). Suzzanne Humphries says to buffer it, and it appears in her video she says it is better absorbed with the added baking soda, though she does not explain why. I personally am very sensitive, and I feel a significant benefit when I take the buffered C, so I tend to recommend doing it that way. I do have one client who takes straight C in capsules – 10/day and is doing well with it. I also emailed the Vitamin C Foundation about buffering, since their Cardio-C product (which Daniel likes) is not buffered. They responded that they have no experience with buffering their product, so they don’t know about it. I have read some people have good success making their own Lipo C using just a blender or additionally an ultrasonic machine, though I haven’t tried it. I am taking 15g/d of the ascorbic acid myself dissolved in one large glass of water and sipping it throughout the day and without any problems (the Pauling way?) I wonder if it is a question of getting accustomed to vitamin C rather than its actual acidity. We have a lot of strong acid in the stomach so how much difference could a few grams of vitamin C make from that point of view? The typical rapid stools,I initially experienced, are evidently reactions taking place further down the bowel system. Well – I am scratching my head in front of all this confusing information. My wife though is sensitive and buffers the acid with baking soda and this seems to work fine for her. But she is an occasional user. Dr John H – many thanks for your useful and informative comments in this instalment. And the swift replies too. I shall be adding your suggestions to my vit C supplementation. I’m not keen on relying on just one brand or one type of vit C (which you’ve covered in your comments) and thus alternate e.g. between ascorbic acid and sodium ascorbate, and likewise will now alternate my brands e.g. between Liponaturals and LivonLabs. There also seems to be some merit in not just drinking vit C but also in consuming vit C in solid form e.g. capsules or gel. After all, that’s how we get it into our bodies from diet. Dear Malcolm Kendrick, I don’t seem to be able to post on wordpress.com despite having an account there. I just wanted to let you know that I found you on Wikipedia.org today (after reading your post on WordPress). I am not implying that you are not being “banned”, but I did find you, in connection with an article on BMI. Dr. Kendrick: Is the extremely high BP post ischemic stroke a cause or effect of the stroke, or both? You get a lot more liposomal vit C with one product, but I do like the portability of the sachets. Charles, I cannot find details about the Liponaturals vit C, but I wonder if it is similar to Dr Mercola’s liposomal vit C. Livon Lab’s product is a true liposomal, but Dr Mercola’s contains the ingredients that would allow the digestive system to make some liposomal C, though it has not been processed to manufacture the liposomal C before you buy it. This may explain the price difference. Also, according to https://supplementpolice.com/lipo-naturals-liposomal-vitamin-c/ the dose is 1tblsp a day, but according to the wisdom of Hoffer, Klenner, Cathcart and others, the dose is the amount required to be symptom free, and will vary according to circumstances, even through the day. My intake of vitamin C ranges from 8 to 10 grams on a normal day to perhaps 50 to 60 when I have symptoms I would like to get rid of. Many thanks for the additional liposomal info. I tried Dr Mercola’s liposomal vit C the other year and I seem to recall it was in capsule form. However, I switched over to the gel/liquid form offered by LivonLabs (and now also the Liponaturals product), following recommendations by Dr Suzanne Humphries, Dr Thomas E Levy and, in this instalment, Dr John H and Dr Daniel Cobb. I’ve no idea of the pros and cons (if any) of capsules vs gel/liquid in the delivery method. In the past, I have commented on some disappointment over the efficacy of vit C to get rid of, for example, colds. However, vit C deficiency competes with stress as the main contenders for my CVD incident a few years back. Perhaps a question of dosages? I note your comment on 50 to 60 grams when you have symptoms “to get rid of”. Wow! I’ve seen my lp(a) levels drop since supplementing but can’t associate that with vit C supplementation. In isolation anyway. However, this week a strange collection of coincidences may add weight to the efficacy of vit C.
(1) my eye test. 18 months ago the retinal photo (back of the eye) caused concern and got me a referral to my GP. The eye test photos I had this week showed normal, healthy eyes on the photos. Well pleased! You know how it goes when you start getting older – you leave the doctor/dentist/opticians feeling worse than when you went in. Who knows? I emerged from the optician’s more convinced the improvement was due to vit C – I take daily dosages similar to yours and include (1) liposomal (2) ascorbyl palmitate and (3) ascorbic acid and sodium ascorbate. Charles, I have a cold at the moment, so your information is timely. Despite the vit C I have the sniffles, though I don’t feel too bad. The problem in getting enough vitamin C down when you are out working is not helping. Tomorrow I will be at home so I can dose to my heart’s content. I believe lp(a) might drop because the vitamin C means the blood vessels would be in a better state and so the repair requirements are less. I read recently that atherosclerosis is sub-clinical scurvy, and as you probably know, Suzanne Humphries describes osteoporosis as scurvy of the bones. Now I will have a look at Sydney Bush. As Clint Eastwood says “Do you feel lucky, punk?” Because you’d have to be extremely lucky to be taken to one of those 10 institutions if you start bleeding. And not only is the NOAC itself expensive, the antidote will bankrupt you if you are lucky enough to get it. AFAICT Andexxa has not been approved here in Australia, let alone widely available. I consider it reckless in the extreme for the FDA/TGA to approve these drugs without an antidote and for doctors to be prescribing them. Yet these drugs have been available in Australia since at least 2013 and presumably longer in the USA. Re Warfarin and calcification: the Rotterdam Study group found that if they gave the mice K2 along with the warfarin they could prevent the calcification while maintaining the INR, you just had to take a higher dose of warfarin. Searching PubMed for the names Vermeer or Schurgers should bring up the paper. Andexxa now available at more than 200 hospitals in the states. The general degree of concern about the limited availability of an antidote for apixaban (Eliquis) stems from a general misunderstanding of how the stuff works. The half-life of warfarin is variable – anywhere from 20 to 60 hours. The stuff continues to effect coagulation for up to five days. The half-life of Eliquis is about 12 hours and is generally cleared from the system in a day. One of many other reasons to worry that this link does not deal with is the dangerously varying INR numbers in those who’ve been on warfarin for an extended time. JD: Thanks for the response. My concern is not so much about bleeding from under-coagulation but about situations where you have major bleeding such as in a motor vehicle accident or say a compound fracture. In such situations the emergency dept staff would have to watch you bleed to death in the absence of an antidote. Whereas with warfarin every hospital has Vit K injections at hand (every veterinarian for that matter). I read the transcript of that Medscape discussion but didn’t find it very convincing. The ER doc says that he sees a lot more warfarin users than NOAC patients? Well Duh, that’s coz there are far more people taking warfarin, particularly in the US where patients have to pay some or all of the cost of expensive medications. The opinions of 3 doctors isn’t necessarily proof of anything since most of them seem to get their information from drug reps rather than the scientific literature. I’ll bet that if the subject was statins they’d be in agreement that they were wonder drugs, particularly as 2 of the docs are cardiologists. My mother’s cardiologist keeps trying to convince a 90yo woman to take a statin despite there being no evidence of benefit in women ever and plenty of evidence that higher cholesterol is protective in over-65s. Well they did say supply limited until early 2019, which I read as they were expanding manufacturing capacity. Still, 200 hospitals is what percentage of US hospitals and what are the odds that if you are in a car accident the hospital the ambulance takes you to has Andexxa available? Pretty slim I’d think, especially outside major metropolitan areas. My point was that these NOACs have been prescribed for 5 years or more without an effective antidote being available, and to a large extent still are. This might be acceptable if there was no alternative, but not otherwise. ISTM that many doctors are rather blase about the risks to the patients of the drugs and procedures they recommend to their patients – there’s no risk until it all goes wrong. 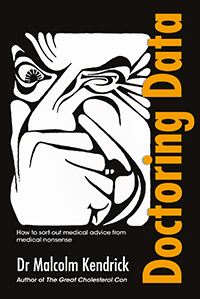 There’s a reason the medical profession’s attitude to safety differs from the aviation industry – when the pilot gets it wrong the pilot dies, but when the doctor gets it wrong the patient dies. Look at the statistics on the rate of intracranial hemorrhage of people on warfarin. This occurs in people lounging on the sofa. You don’t need to be in a car crash. (Are you expecting your mom to be in a car crash?) Serious spontaneous gastrointestinal hemorrhage is more common; less deadly. Both happen much less frequently on Eliquis. If you’re not interested in the experience of three professionals in the field, listen to my anecdote: A good 65 year old friend got an occlusive stroke from throwing a bit of clot caused by “silent” atrial fibrillation. It took him the better part of twelve years to get himself back functioning reasonably well again. He was on warfarin and rate control medication during that period. Then he got a hemorrhagic stroke. This was more incapacitating than his first stroke. Vitamin K antidote is not particularly helpful once that instantaneous damage is done. What are the chances your mom would have a sofa brain bleed vs the chances she’d have a catastrophic accident? Can you figure that out? How risky is her behavior at 90? Does your mom have an opinion on all this herself?